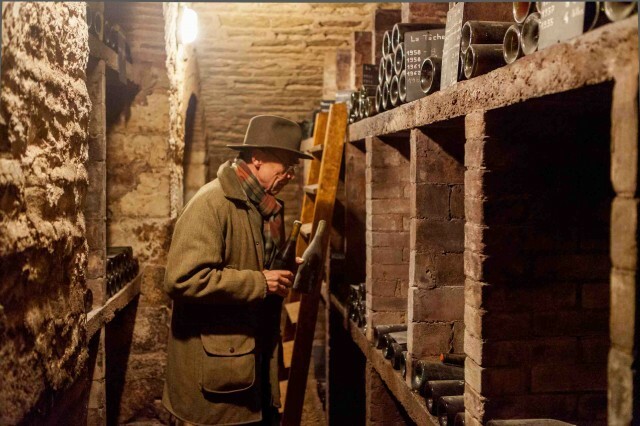 Domaine de la Romanée-Conti’s Aubert de Villaine selects bottles for the tasting from the famous estate’s cellars. Attendees began the weekend on Friday morning with a tasting of DRC wines from six decades, including Romanée-Conti 1957, 1978, 1997; La Tâche 1928, 1947, 1963, and Richebourg 1963, 1975. What, no Armand de Brignac Ace of Spades ?? So much for luxury tasting indeed… How common.